Little known outside his native Australia, David Stove was one of the most illuminating and brilliant philosophical essayists of his era. A fearless attacker of intellectual and cultural orthodoxies, Stove left powerful critiques of scientific irrationalism, Darwinian theories of human behavior, and philosophical idealism.Since its inception in the 1940s, the field of science studies, originally intended to bridge the gap between science and the humanities, has been the center of controversy and debate. The most notable figures in this debate are Thomas Kuhn and Karl Popper. 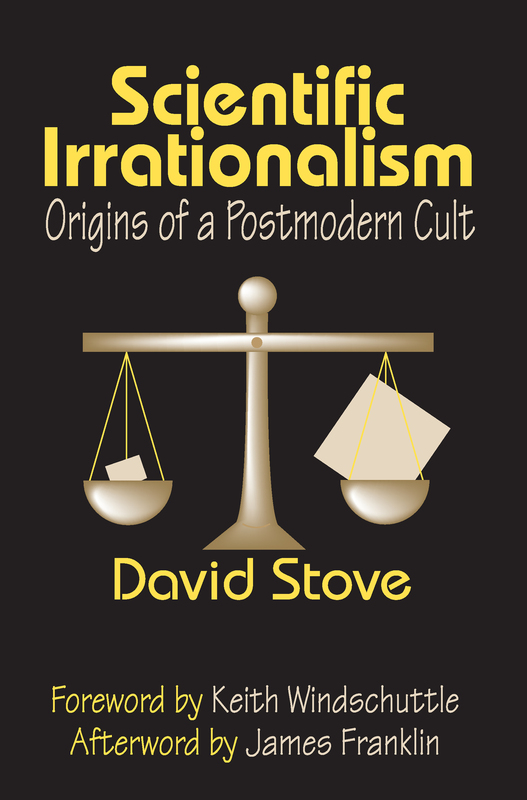 In Scientific Irrationalism, now available in paperback, David Stove demonstrates how extravagant has been the verbiage wasted on this issue and how irrational the combatants have been. He shows that Kuhn and Popper share considerable common ground. Stove argues that the problems all reside in the reasoning of the critics. He identifies the logical mistakes and conceptual allusions made by Kuhn and Popper and their supporters, as well as their collective dependency on a single argument made by the philosopher of the Scottish Enlightenment, David Hume. He then demonstrates how little potency that argument actually has for the claims of science.In his foreword, Keith Windschuttle explains the debate surrounding the field of science studies and explores David Stove's contribution as well as his lack of recognition. In an afterword, James Franklin discusses reactions to Stove's work.